Photo: Big skies over Bali Barat National Park. As the north coast road heads west from Lovina, in an isolated corner of far northwestern Bali, the weather-beaten hills of West Bali National Park loom dramatically over Pemuteran Bay. Here the friendly community and a fast-growing collection of relaxing hotels and resorts have earned this charming little fishing village a reputation of being a peaceful getaway from, well, everywhere else in Bali. Few points on Bali are as remote as Pemuteran. Although rapidly expanding, Pemuteran’s development has been mindful of some of the negative effects of rampant tourism in other parts of Bali. The community here wants to retain its peaceful village atmosphere, and Pemuteran has no hawkers or stores selling tourist tat and just about zero nightlife. However, they do face challenges, particularly with pollution and erosion, yet are making several positive steps to resolve these. It’s a model others could follow. Most people come to Pemuteran for the diving and snorkelling. Beach snorkelling and shore dives can be done straight from the black sands of the bay, which is slowly recovering from years of damage from dynamite fishing. The excellent marine regeneration projects involving the local community are another model Pemuteran can be proud of. It still has a way to go before it comes close to the majestic gardens at nearby Menjangan Island. 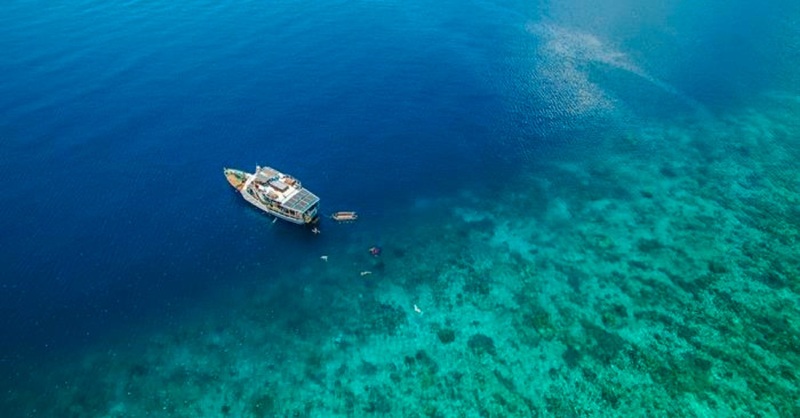 The real reason most people stay in Pemuteran is its proximity to the world class diving and snorkelling at that dry, scrubby island surrounded by the best coral reef in Bali, boasting massive drop-offs, cliffs, caves and a spectacular array of fish. If underwater activities are not your thing, Pemuteran still presents a great low-key escape. Pemuteran Beach is a pleasant wander and the sea is calm. For birdwatchers and nature enthusiasts assorted trekking opportunities in West Bali National Park may reap rewards — one of the rarest birds in the world, the Bali starling, is endemic here. And if culture is your thing, a handful of temples have great significance to the local Balinese Hindu population. Most of the village is flat, and a good way to reach the temples is by bicycle. These can be hired from Pande Guest House; Jalan Seririt-Gilimanuk; T: (0853) 3311 8594; info.pandepemuteran@yahoo.co.id; pande-pemuteran.blogspot.co.id. Relaxing spas will make you feel like royalty, particularly if you choose the one at five-star Matahari Beach Resort — this sublime sanctuary of leisure is designed to resemble an ancient Balinese royal water palace. This is a hot and dry in this part of Bali, which are ideal conditions for some local industries — Atlas Pearl Farm lies on the coast 10 kilometres east of Pemuteran. Displays show how they grow and harvest the peals in an ecologically friendly manner, you can wander out to the jetty where you may see the pearl farmers at work in various stages of the production and of course, you can “exit through the gift shop”. There’s not a great deal to see, but it’s mildly interesting if you are passing anyway. For round shinny baubles of a different hue, the vineyards of Hatten Wines, Bali’s own winery, cover hectares of the north coast. Their visitors’ centre is in the nearby village of Sanggalangit, 12 kilometres east of Pemuteran, where the winemakers offer a tour of the vineyards, wine tasting and a gift shop. They’re open Monday-Saturday, 10:00-16:30. Right in the village of Pemuteran, Bali Artisan Salt (T: (0813) 3854 3121; gelgelbalisalt@gmail.com) has a small shop in the lane next to Easy Divers. Continuing down the same lane is their factory, where you can see the production of some very unusual salt products. We had no idea salt could naturally form pyramid shaped crystals — and some of these measure in centimetres. As well as the pyramid shapes, they produce a black salt mixed with charcoal and smoked salt, and many other flavours. Take home a bag -- it’ll be an interesting talking point at your next dinner party. They’re open Monday-Saturday, 13:00-15:00. Pemuteran is less than one hour’s drive to Gilimanuk, the crossing point for ferries to Java. Several agents offer overnight packages from Pemuteran to climb the spectacular Ijen volcano in East Java, famous for its blue fire from the sulphur mining. Tours generally leave around 22:30, returning the next day by 12:00. You’ll have no problem finding a comfortable and clean place to sleep in Pemuteran; standards here are first-rate at every price point. Guesthouses and resorts line either side of the main road for a two-kilometre stretch. Further west, towards Gilimanuk and West Bali National Park, a couple of marvellous resorts and homestays are tucked away in quiet villages. In July and August it can get very busy with European divers, and you’d be wise to book ahead. Rates are a little higher than other parts of Bali, but low season bargains bring excellent value, particularly for walk-ins. For a quiet village, Pemuteran can be a bit, er, noisy. Being close to Java, there is a sizeable Muslim population, and the call to prayer from the village mosques, although melodic, may disturb light sleepers. Add to this the everyday cacophony of dogs, roosters and traffic, and you get the idea. Street lighting is limited — take a torch when you venture out at night. For beachside dinning, the only choices are the restaurants and bars attached to higher-end resorts. The food is generally quite good, it’s just at high-end resort prices. Along the main road, usually set back from the traffic, a good selection of midrange restaurants serve up tourist friendly local food and fresh seafood. For something a little more authentic, head to the warungs. Aside for a couple of bars with occasional live music, this is not a party town, and everyone’s in bed way before midnight. Pemuteran is a four-hour-plus (and then some, in traffic) drive from the airport. A local tourist shuttle bus connects major tourist areas, but is often booked out days in advance. Public buses and bemos regularly travel between Singaraja in the east and Gilimanuk in the west, passing Pemuteran with connections to Southern Bali and Java. The village of Pemuteran is easy to walk around and the beach has easy walking access. Bicycles and motorbikes can be hired locally and every hotel and homestay offers transport services. A couple of ATMs are located near Bali Balance Cafe in the middle of the village, and others outside Matahari Resort at the eastern end of the main road. Local minimarts stock sundries from wine to sunblock. Prices are little higher than elsewhere in Bali. The closest hospitals are in Singaraja or Negara. Sanglah Hospital in Denpasar has a hyperbaric chamber to treat decompression sickness. Dr Made Elektra Sariswati, a local general practitioner, operates Monday to Saturday 18:00-21:00 from a practice on the main road in the centre of the village.  Please sign up as a Travelfish member to download the Pemuteran guide PDF (11.3 MB, 45 pages). Membership costs just A$35 per year (less than A$1 per week) and gives you access to over 250 PDF guides. Browse our independent reviews of places to stay in and around Pemuteran. Read up on where to eat on Pemuteran. Check out our listings of things to do in and around Pemuteran. Read up on how to get to Pemuteran. Planning on riding a scooter in Pemuteran? Please read this. 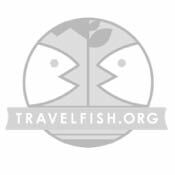 Use the above map to find specific destinations in and around Pemuteran which are listed on Travelfish. Bed icons indicate a guesthouse, hostel or hotel, the knife and fork is an eatery or bar and the four-way circular thingy marks sights, attractions and other points of interest. Click on any icon for a short pop-up and a direct link to the page for that spot. If you are in the area, use the teardrop icon near the top left to show your position on the map (you'll need to allow position sharing for this last feature to work).